These are the reviews for Glovers Cottage. There are 22 reviews. Superb accommodation and service. Unfortunately as the music course will move next year ,we will not be re-booking next year. That is unless we visit Sherborne again!!! i suppose the only down side was having no onsite parking,except meter parking which was very reasonable only £2 8o per day.but you can walk from cottage to find spaces in side streets.but sherborne was great. very central and convenient. Pleasant and helpful owners. Only wished we could have stopped longer. J&B Griffiths. It was a lovely little property right in the centre of Sherborne. It was faultless in every respect. Glover's Cottage was a perfect spot for us. The apartment is compact but felt surprisingly roomy, and it was very thoughtfully equipped with everything we needed. The bed was extremely comfortable. The bedroom and bath are up 5 stairs from the entry landing, while the living room and kitchen are 6 stairs down, and also open to a patio. The kitchen is tiny--I would not want to cook a large meal there--but it is ingeniously arranged to include everything one needs, and it worked very well for our breakfasts and evening snacks. As others have mentioned, the apartment opens onto a public pay-and-display parking lot, and you do need to pay for parking. However, parking is free between 6 pm and 8 am and we were out most of the day, so the cost was not great, and the apartment was so reasonably priced that we did not mind. The one negative is that the Wi-fi connection is poor. We were only able to connect out on the patio or right near the back door. Sherborne Abbey is a stunning building, and we enjoyed the town, which has great shops and bakeries. We also appreciated the beauty of the immediate area, and the easy access to the places we wanted to visit during our week, including Glastonbury and Wells, Montacute and Barrington Court, the Jurassic Coast, Salisbury and Stonehenge. The apartment is a few steps away from a fine Waitrose supermarket and several good restaurants and pubs. The owners live right next door and were available to help if needed, and they were very friendly and helpful, from beginning to end! 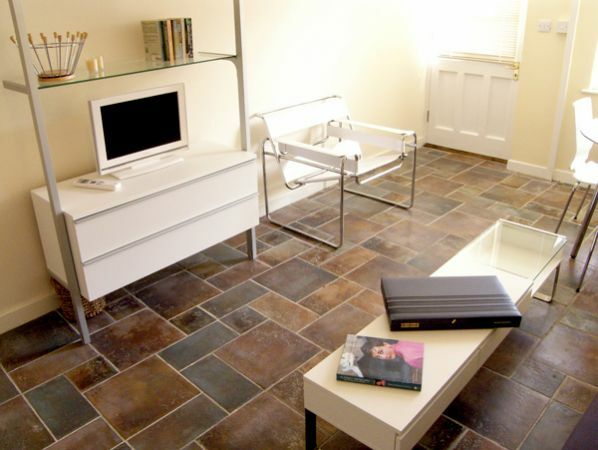 The cottage was well furnished and well situated, a lovely peaceful haven. Glovers' Cottage its self was lovely and in a delightful setting, Sherborne is a beautiful town and ideally situated for exploring Dorset. Lovely cottage with a friendly owner, could not fault it. Had an easy and relaxing stay, extremely happy. The place was very peaceful and relaxing and the town was lovely. Very kind of the landlady to provide the starter kit - it was a real help! Loved the books, DVDs, audio books available for our use! Great location - shops close by and train station was on a direct line to London. Sherborne is a lovely town with very interesting historical sites. The cottage could not be more convenient to enjoy the town. All the facilities and amenities were first class. Everyone connected with the cottage and the town were both very friendly and helpful. We had a great time. 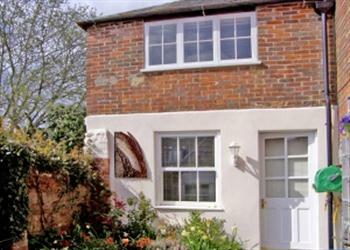 Very well located cottage close to all amenities and attractions in and around Sherborne. The owner was very helpful and friendly without being obtrusive. All in all we really enjoyed our few days in the area, and would not hesitate to return to the cottage again as it is an excellent base for exploring Dorset and surroundings. Excellent location. Beautiful, well maintained cottage with everything you need for your stay. Very friendly welcome from owner who gave us all the information we needed especially about Local facilities. Property was amazing as it looked like a tardis from the entrance which was in a car park but we enjoyed watching people's surprised faces when we opened the door in the morning. Immaculate, compact practical with character. Home from home, very cosy. Definitely wish to return as Sherborne is the perfect base for touring Dorset. No hassle service, left to our own devices even though next to owners. Fantastic location to Sherborne close by to all amenities and pubs. Very good welcome pack, but would have been nice to know about parking and include parking charges in rental. Location was a perfect touring base with good pub and supermarket within walking distance. Very warm welcome from the owner. Would definitely visit again for a longer period. Plenty to do and see in the area and an easy drive to the sea. Sherborne is beautiful and this is an ideal cottage (or is it the Tardis?) to walk into the town or drive to the countryside. Super start-up provisions. We'd have happily stayed longer than a week. Stylish conversion of this compact cottage. Clean, comfortable, in a central position in the town. Generous provision of food and toiletries. Our stay at this cottage was very good in almost every way. The cottage was comfortable and clean and the location in the centre of Sherborne was excellent. The owners also organised parking very close to the cottage. The kitchen was a little small and we both banged our heads on the microwave shelf. Also, we had believed that the small patio area was for our use but in fact was being used by the owners on the one occasion we wanted to sit outside. Clarification on this would be useful. We thoroughly enjoyed our stay and would book to stay at the cottage again. If you're looking for other cottages around Glovers Cottage, we've got some cottages below which may take your liking. There are 22 cottages within 5 miles of Glovers Cottage - and they have reviews too.